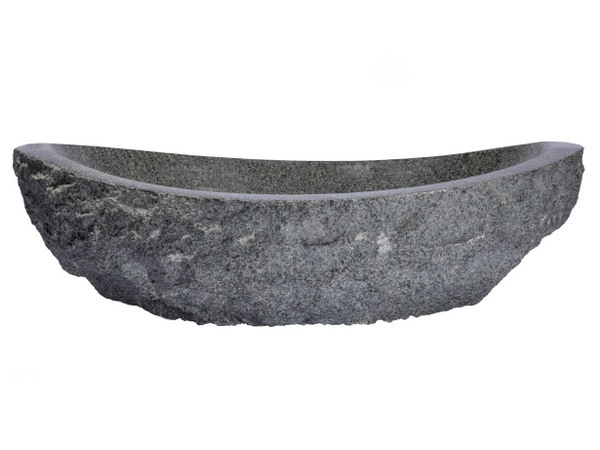 Inspiration creates unique pieces of art like the new Stone Canoe sinks from Eden Bath. The design for the EB_S035 sink was inspired by a vintage canoe. Made from imported padang dark granite, the sink has a polished interior and a rough chiseled exterior, the unique sloping lines and boat shape of the sink give it an aesthetic that works well in contemporary spaces as well as bathrooms where nature is the focus. This stone sink looks different from any angle due to the gradual slope of the top rim and the mix of the polished and rough textures.